Mission: The visiting artists’ programme at the Bag Factory allows artists from around the world to spend a period of three months working in a collective of artists’ studios based in downtown Johannesburg. The programme offers you the opportunity to interact with local artists, to expand your network internationally and to experience a climate of cultural diversity. 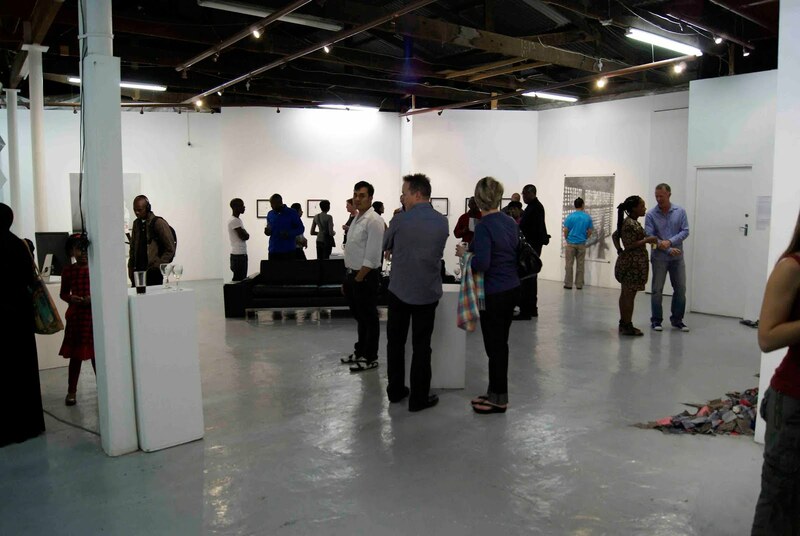 Working at the studios, you will get to know the permanent artists at the Bag Factory, the city of Johannesburg and something about the art world in South Africa. Applicants should not expect to profit financially from their stay in South Africa, as this is cultural development programme. A basic monthly per-diem for the three-month period to cover food and transportation within the city. This per-diem amounts to about R130 per day. To give you an idea of the street value of this amount, a pizza costs about R60, a loaf of bread costs about R10, a Coca-Cola costs about R5 and a movie costs R50. Johannesburg’s public transport system is not one of its strong points. There is no metro or underground system. There are, however, minibus taxis that run from near the Bag Factory house to Metro Mall on Jorrissen Street, which is not far from the Bag Factory. Some artists choose to walk into town, which takes about 40 minutes. You can also use your per-diem to rent a car if you have a valid international driver’s licence. You will be given an amount of R2 200 upon arrival in Johannesburg to cover your materials for art production while you are here. You will be given R2 200 to cover the costs of the community outreach workshop to be conducted by you. The costs of your exhibition will be covered by the Bag Factory. In turn, we put a 40% commission on all works sold at the exhibition. Artists are expected to raise their own funds to cover their transport to and from South Africa. It is important to note that costs and arrangements of any transport or shipping of art works into and out of South Africa are the responsibility of the applicant. Accommodations: Accommodation for three months at the Bag Factory apartments at Life on Main in City and Suburban in Johannesburg. A studio space free of rent for the three month period. Benefits: Spend a reasonable part of your stay working at the Bag Factory, interacting with Bag Factory and local artists, and experiencing the city. Produce new works to be exhibited at the Bag Factory before the end of your stay. Conduct at least one community oriented outreach programme. Complete a written report on your visit. Stay for the full period (three months). Visiting artists’ programmes are ongoing, functioning on a quarterly basis throughout each year. Applications are assessed by a selection committee. It is recommended that you apply at least one year in advance of the programme you wish to attend. Posted in Bag Factory Artists Studios, South AfricaTagged 3 months, apartments, art residency, Artist Residency, artists, artists cover their own transportation, Bag Factory, Bag Factory Artists Studios, City, commission, community outreach, community outreach program, cultural, diversity, downtown Johannesburg, Emerging, established, Exhibition, exhibition stipend, expand network, Fellowship, Fordsburg, free accommodations, Free studio space, International, Johannesburg, Life on Main, local artists, materials budget, medium, mid-career, national, no application fee, per-diem, Rate My Artist Residency, South Africa, Stipend, Studio, studio space, Studios, suburban, three months, Triangle Network, urban, Visiting Artist Programme, Visiting Artists Program, working, works soldBookmark the permalink.